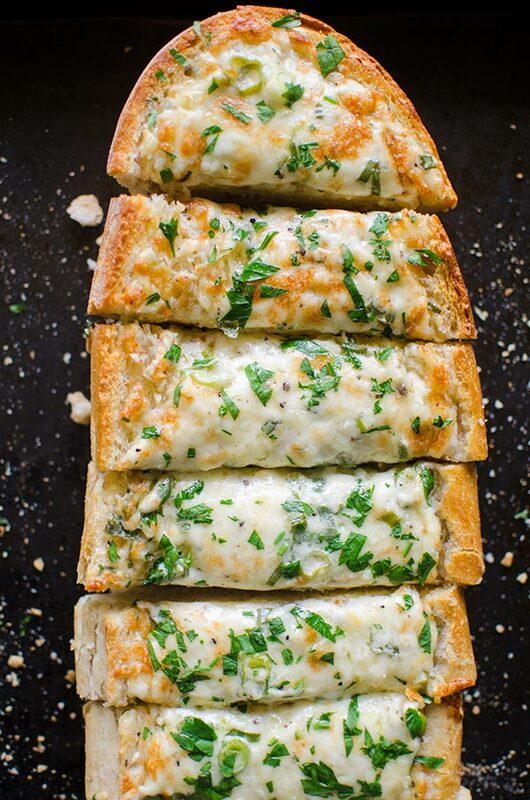 Cheesy herbed garlic bread is the perfect appetizer for a crowd, with mozzarella, cheddar, green onions, garlic and parsley. We had our first actual cold day in Toronto, so I think a cheesy and comforting garlic bread is just what is needed today. It was one of those bitter colds that you feel seep right into your bones. I always forget just how cold it can get during the winter. It’s comfort foods like this garlic bread, and chill (that I pulled out of my freezer for dinner tonight) that are the kinds of recipes I dream about on my cold walk home. I’m pretty lucky because I live about a 10-minute walk from my office, so even on these bitter cold nights, it’s still ok to walk to and from work. 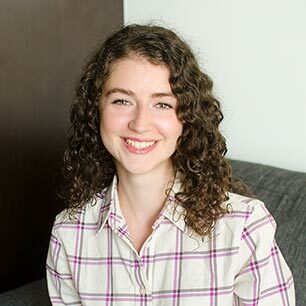 It’s the perfect way to bookend my workday; the walk definitely jolts me awake in the morning and then it gives me a second wind in the evening. This garlic bread is also the perfect recipe to bring to a holiday themed potluck or to serve as an appetizer during the Super Bowl or any sporting event. I like it because you can get it all prepped, then just wrap it in foil and bring to your friends’ house. Voila! Pop it in the oven for a few minutes and you will most certainly be the MVP. 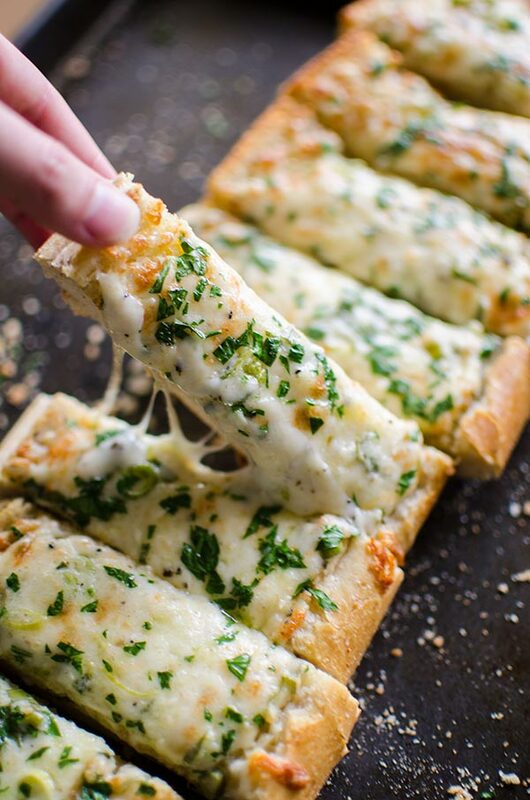 Who doesn’t love cheesy garlic bread? This recipe has loads of chopped fresh parsley sprinkled on just after it comes out of the oven for a pop of freshness–it pairs perfectly with the cheddar and mozzarella cheeses, green onions, garlic and a hint of mayonnaise. I bet some fresh basil would be delicious on here as well. That’s the fun thing about fresh herbs, feel free to switch them up! If you have rosemary, you can finely chop that and sprinkle some on top, fresh thyme would be delicious on here (it’s one of my favourite herbs to add to grilled cheese). This recipe is for half a loaf a large loaf of ciabatta bread, which makes about 10 pieces and serves five, but you could definitely double this recipe if you’re feeding a crowd. In a medium bowl, mix mayonnaise with butter, garlic, green onion, cheddar, mozzarella cheese and pepper. Spread mayonnaise mixture over ciabatta. Bake for 8-10 minutes or until cheese is melted and bubbly. 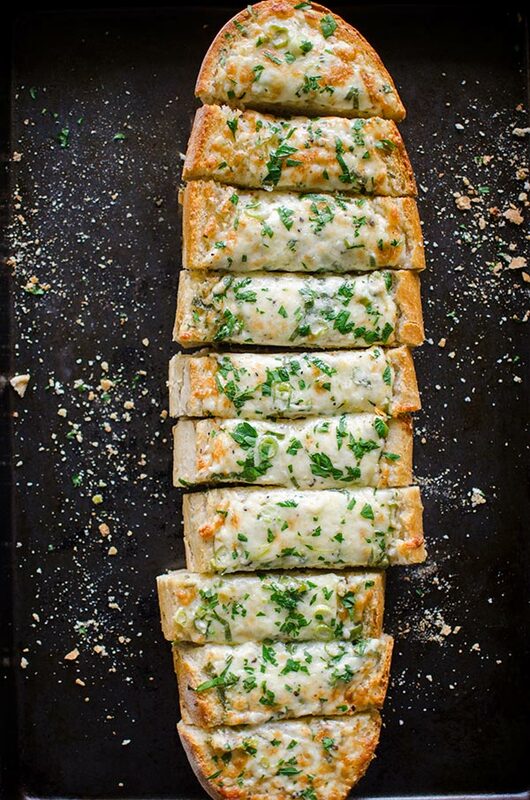 Let me know if you give this cheesy herbed garlic bread a try in the comments below.